More space, new tech and refined design headline the list of changes to the most practical member of the A5 range. Ahead of the Paris motor show later this month, Audi has revealed the 2017 Audi A5 Sportback, and S5 Sportback. 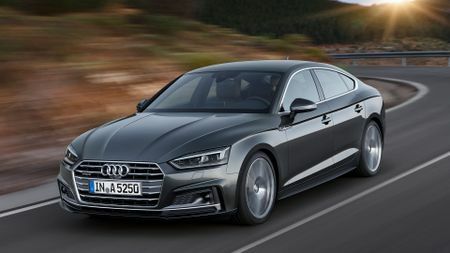 While not deviating far from the previous design, the new A5 Sportback has a longer wheelbase and a long wraparound bonnet, with a flatter and wider grille. There’s also bigger bulges around the wheel arches, and a spoiler edge at the back. Overall, it looks sleeker and sharper than the first-gen Sportback, and seems to be following a similar pattern of changes to the A5 coupe. 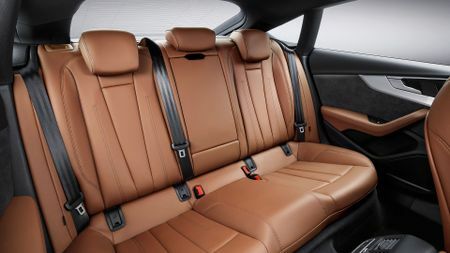 Audi claims the new A5 and S5 Sportback will offer more cabin space than the last version, with shoulder space, rear knee room, and overall space up thanks to a more practical body shape. And there’s more perceived space too, with a new horizontal instrument panel and ambient lighting. Boot space is increased by 15 litres to 480 litres, and with the rear seats down (which split 40:20:40), that’s up to 1,300 litres. On the inside, the A5 Sportback comes with the option to upgrade to Audi’s Virtual Cockpit system, which includes a 12.3inch high-definition digital instrument panel. There’s also the optional infotainment system, on an 8.3-inch monitor, which offers free connectivity for three years, free map updates for five years, along with Apple CarPlay and Android Auto compatibility. You can also add a wireless smartphone charging pad, Bang & Olufsen sound system, and head-up display. There’s plenty of safety tech available on the Sportback, including collision avoidance auto braking, adaptive cruise control that can also stop the car, traffic jam assist, park assist, cross-traffic assist, lane exit warning, turn assist, collision avoidance assist, and camera-based traffic sign recognition. There’s also a predictive efficient assistant that uses GPS data to give specific driving advice that will help to improve fuel efficiency, according to Audi. The engine line-up hasn’t changed, with two petrol and three diesel engine versions available for the A5 Sportback. However, the S5 will also be available with a performance-focused 3.0-litre petrol engine (62mph in 4.7 seconds). The A5 Sportback will be offered with a six-speed manual, or eight-speed S tronic dual-clutch automatic gearbox. Front-wheel drive is standard, but quattro four-wheel drive comes as standard on the top-of-the-range models, and is also available as an option. The entry level Sportback gets 17inch wheels, with higher-spec models getting 18inches. The top-of-the-range A5 and S5 gets that all important extra inch. The Audi Sportback range is expected to be available for UK order from mid-October. 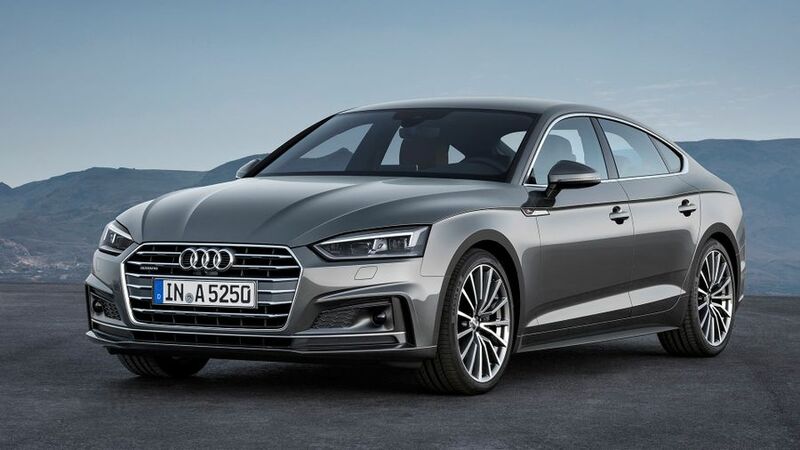 While Audi has not yet confirmed the car’s pricing, it is expected there will be a small increase on the outgoing model, which is available from £30,035.